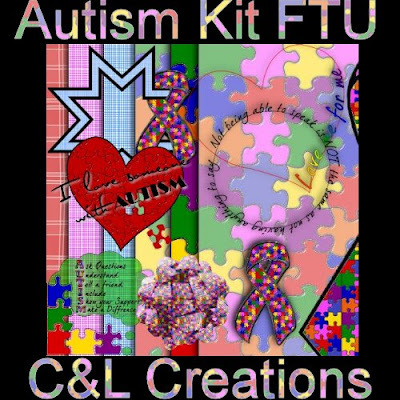 A friend (Carey from Carey's Creations) and I decided to make a kit for Autism Awareness Month, we hope you enjoy it. Hi my name is Lorilynn and I am the mother of two of the greatest and most challenging children in the world. This is to state that all supplies used herein are either given to my to use with permission or purchased for my use alone. I make my creations for others in trade for use of the art. Any resemblance to any other tutorials are purely not intended.